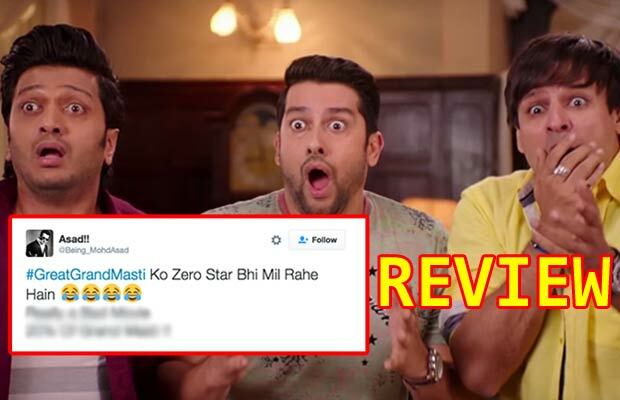 Tweet Review: Fans Reaction On Riteish Deshmukh And Vivek Oberoi's Great Grand Masti! 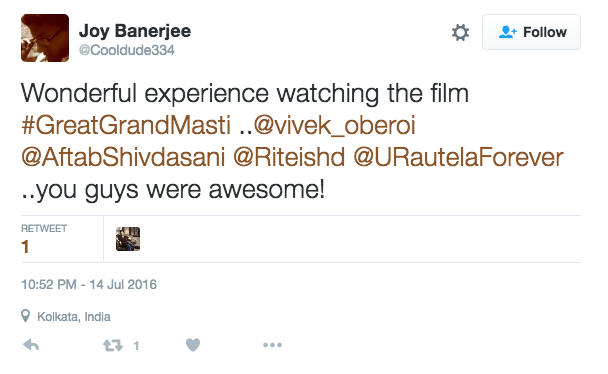 Tweet Review: Fans Reaction On Riteish Deshmukh And Vivek Oberoi’s Great Grand Masti! 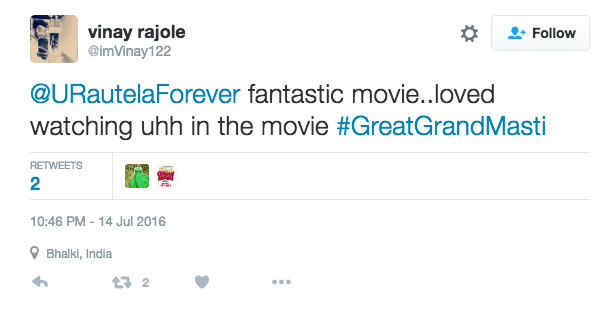 [tps_footer]The adult comedy ‘Great Grand Masti’ has made its way to the screens. The movie has retained its male lead actors Vivek Oberoi, Aftab Shivdasani and Riteish Deshmukh. Actress Urvashi Rautela is the new addition in third part. The film was much in the news lately for its change in release dates. Due to the online leak, the release dates were pushed ahead. 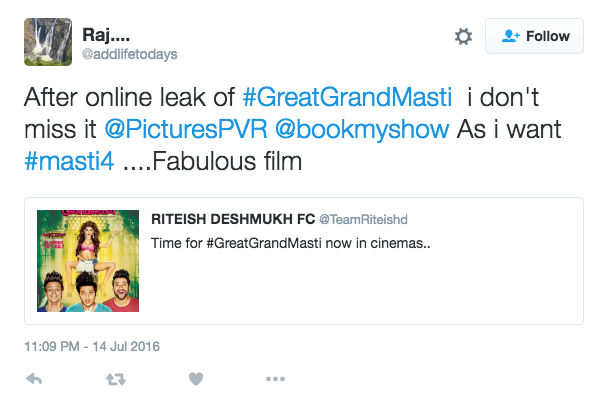 Initially, ‘Great Grand Masti’ was going to release on July 22nd. The makers decided to change the release dates because the film was leaked online. Moreover, the movie also had a great war with the Censor Board. Like all Masti films, the third part is also assumed to be full of double meaning dialogues and scenes. The authorities opined that the film was too vulgar. 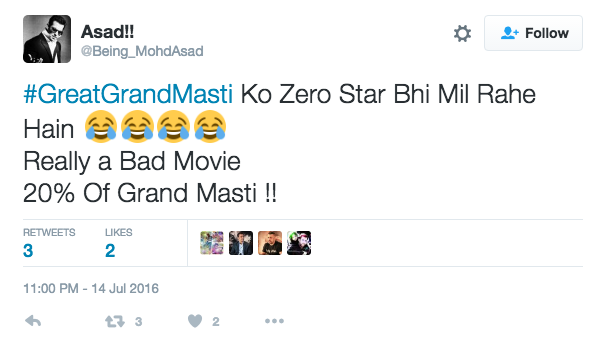 #GreatGrandMasti Ko Zero Star Bhi Mil Rahe Hain Really a Bad Movie 20% Of Grand Masti !! Wonderful experience watching the film #GreatGrandMasti ..@vivek_oberoi @AftabShivdasani @Riteishd @URautelaForever ..you guys were awesome! Watched #GreatGrandMasti and fell in love with @URautelaForever. 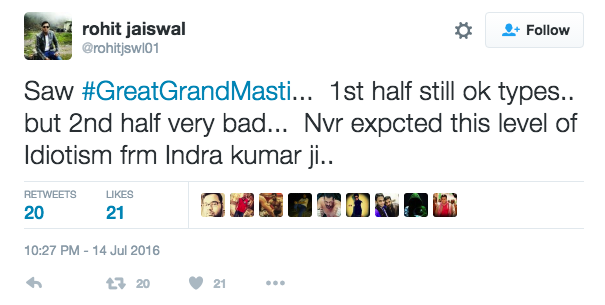 Saw #GreatGrandMasti… 1st half still ok types.. but 2nd half very bad… Nvr expcted this level of Idiotism frm Indra kumar ji..